Well things are moving apace. 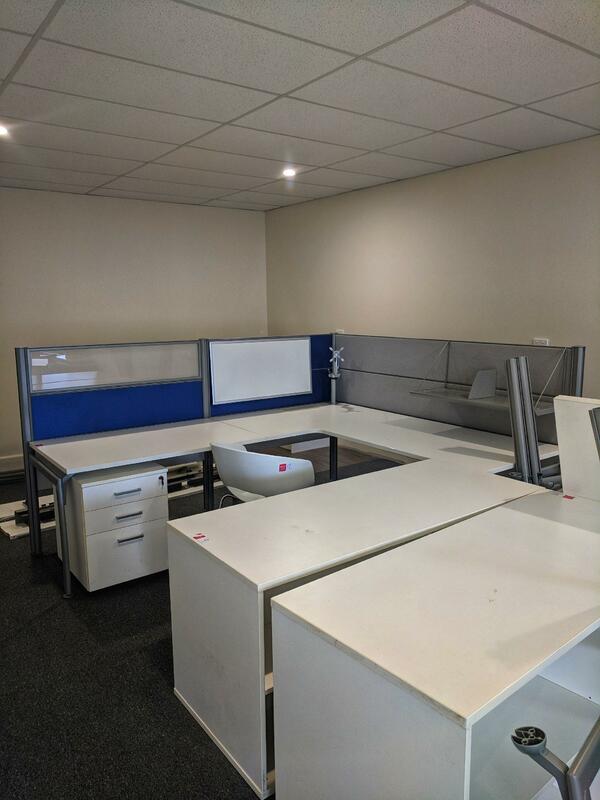 Firstly some lucky purchases have landed us with some office furniture at a bargain price. A quick (relatively) trip to North Sydney scored us a number of desks. Somehow we managed to get them apart without breaking anything and carted them all off in a van in the middle of a 32C day. Several traffic jams later we arrived back at the office and carefully dumped everything in the middle of the floor (as we are still waiting on the builder to finish-up). Special thanks to David and Gary for helping carry everything up the stairs and playing Tetris to get things through the doorways. This lasted in this condition for exactly one day until Adam broke into a cold sweat and frantically started assembling everything. Typical – like a kid with a new box of Lego! So now we have partially completed furniture ready to move into position. Going to make “go live” day a lot easier. Talking of “go live” day, the electricity has been sorted out and power is flowing. Which is good as its starting to get very warm and the air conditioner is going to be a life saver! Now its the internet…. ah, of course…. I knew life couldn’t be that straight forward. So it turns out that this office has NEVER had a phone in it – which of course makes putting us onto NBN a bit of a challenge. So a few frantic calls to our sparky and he is onto it. We find the MDF outside and within a short period of time he has run a new line for us into the office. Calls and emails to our usual service provider and they are onto it as well organising for the line to be run up to the MDF from outside. We won’t be wired and NBN “live” for the 15th January, but its going to be close….. Seems like its all going to plan. Now, what’s left? Somewhere to sit may be nice! Adam scores again! More furniture from a clean-out in Sydney and we have nice fancy chairs again at a bargain price. He’s found a couch as well. Going to be perfect for stretching out on and contemplating the difficult programming problems that are going to arise. So that’s the basic setup almost complete. Still got a lot of cabling and small bits and pieces to work out, but we will at least be operational as planned!